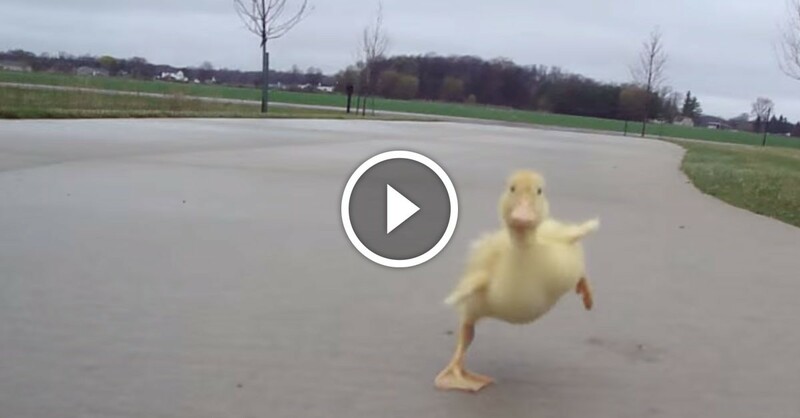 Nobody believed him when he described this duckling’s morning ritual. So he caught THIS! Charley is a little yellow duckling and he has a routine he goes through every morning. As soon as his owner gets up and goes outside, Charley is right there following him. When the owner runs, Charley runs! And then he does a little chirp! This would be a great way to get going in the morning by having your own little partner jog with you outside for a few minutes. Too cute!